My only underside shot from 2017. I admit there is potential for improvement. Only reported from the Pyrenees. However, there is some uncertainty about the species rank given to this taxon. 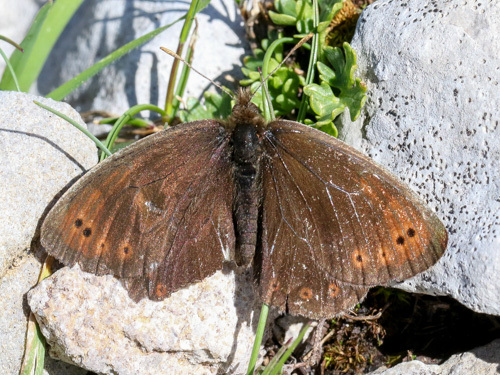 It appears that insects can be found throughout the range of E. pandrose that closely resemble the butterflies found in the Pyrenees. 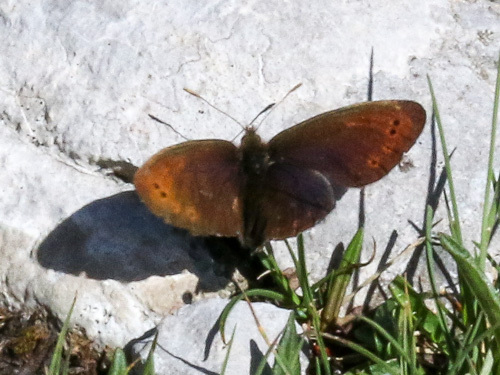 Identification & Similar species: Very similar to E. pandrose, dewy ringlet. The ocelli are close to the margin. The the underside hindwing transversal lines are weaker or absent, are more finely mottled with markings generally less contrasting. Distribution & Flight: Only known from the high mountains of the high Pyrenees. 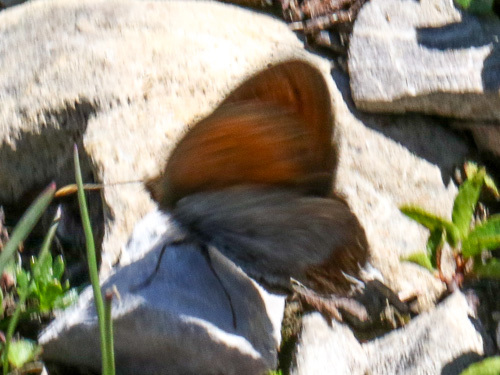 E. pandrose, dewy ringlet, is found in the eastern Pyrenees and may overlap around Andorra. It flies early in the season, from late June. Habitat & Behaviour: It inhabits high alpine grassy meadows with rocks and screes. 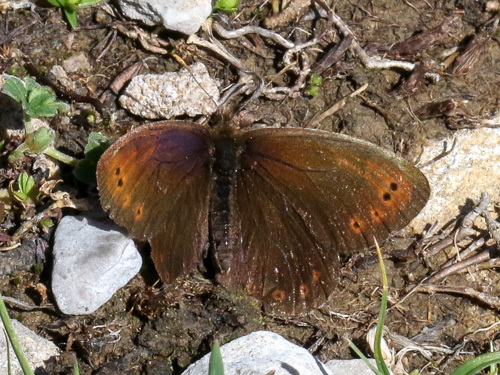 Has a characteristic bobbing flight in common with the brassy ringlets and pandrose. Variation: Very variable in most markings, particularly on the underside.